NATIONAL POETRY MONTH – POET SPOTLIGHT ON ALICE MAJOR! What I admire and appreciate about Alice Major is her wisdom and creativity. It’s a joy for me to shine a light on the delightful Alice Major! We’ve shared stages and conferences, and her poetry always moves my brain into different realms of thought – that’s a pretty awesome gift to be able to give. Plus, she has this incredibly soft voice that I love hearing – especially when she reads! She has a new collection of poetry out from University of Alberta Press called Welcome to the Antropocene. Don’t worry, if you don’t know what antropocene means – you’ll find out soon! Please enjoy our interview – it’s packed with writing advice, links to books and more! Alice has published 11 collections of poetry as well as books of fiction and essays. Her work has received a number of awards, including the Pat Lowther prize (for The Office Tower Tales) and a National Magazine Award Gold Medal. She has performed at readings across Canada and in the U.S. and U.K. and has been invited to speak at various math-arts conferences and the C.N. Yang Institute of Theoretical Physics. In June, 2018, she will give the annual Anne Szumigalski lecture for the League of Canadian Poets. Alice has worked for many years on behalf of the poetry and writing community. She served as chair of the Edmonton Arts Council, president of the Writers Guild of Alberta, and as the City of Edmonton’s first poet laureate. 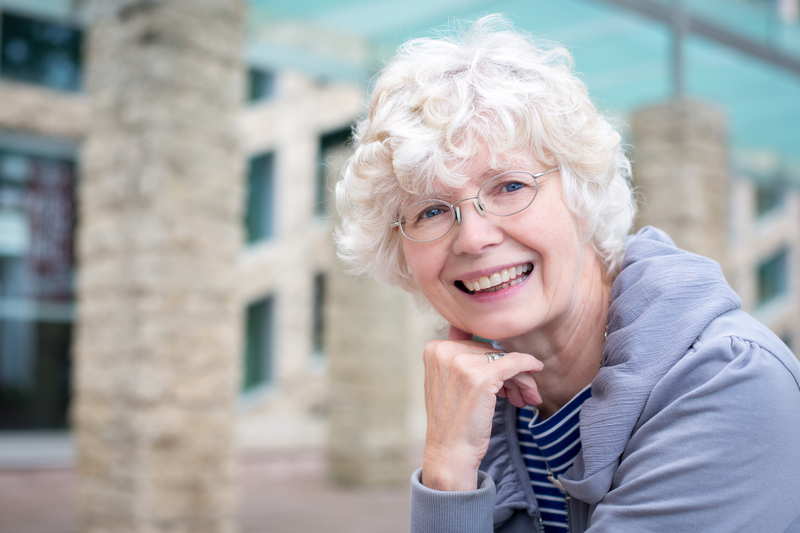 She is the founder of the Edmonton Poetry Festival. In 2017, she received the Lieutenant Governor of Alberta’s Distinguished Artist Award. VS: What is your education history? Did/do you study/teach math and science? Creative Writing?! What prompts this question is me wondering how you’ve been inspired to bring poetry and science/math together. AM: I have a very basic English degree and that’s all. Creative writing courses weren’t very common when I went to university. I did vaguely want to be ‘a writer’ from the time I was little, but there wasn’t any obvious path towards that—especially for a girl from a working-class family. So I graduated and became a bank teller and office worker. Nor did I ever even consider studying science. However, my mother had bought a book about relativity for my sister and I when I was about 12 (Why? Who knows…) I found it fascinating and I’ve gone on reading the popularized accounts of science all these years, though I can’t follow the math to read the original papers. All the while, I was inching my way towards a writing career. The two just seemed to come together—after all, you have to write about something and I find that science often gives me concepts and metaphors that help build poems. VS: Do you believe in writer’s block? What do you do to stay inspired and prolific? I’m fortunate in that I like writing. It’s where I find a quiet space of discovery and the need to inhabit that space pulls me back to the desk and over the block. If I have any advice about motivating yourself to write, it is “Enjoy it!” Write something you want to write, not what others think you should write or what you want to enter in a competition or what you think will get published. The starting place is always love. VS: Do you have a writing ‘discipline’ – ie: a daily writing/creative routine? AM: Not really. I’m about as disciplined as the puppy. I do know, though, that mornings are the best time for me to create something new – the worst thing I can do for a writing day is go straight to e-mail or social media when I get up. Then I seem to lose my brain for the duration. “The Anthropocene” is what scientists are calling the current epoch of the planet’s history, when human activity is evident in systems worldwide. During a single lifetime—my own—the global population has tripled from 2.5 billion to 7.5. How can poets not think about this? I suppose a number of specific things came together to prompt the long title poem—though at first I didn’t realize how long it would end up becoming. I had read an article about a small museum in Pittsburgh called The Center for PostNatural History, which explores how humans have altered organisms from domestic animals to genetically modified bacteria. I was noodling away on a poem about the idea of genetic engineering, and something in my brain went ‘click’ and took me back to those university English Lit classes. I went and looked up Alexander Pope’s “Essay on Man,” which I hadn’t read in decades. And then, after finishing that poem, I had to put it together with other poems to make up a manuscript. I’d been writing quite a few about subjects like climate change and brain science. But there are also sections about us just muddling through—no one sets out to screw up the planet, and it can be hard to know what to do about it personally. VS: Can you see your poems visually in your mind before you write them? Words in a stanza or something else visually that helps you write? AM: No, the visual doesn’t play much of a role for me – it’s sound that’s essential. I can’t start a poem until I have some word-chime in my ear. Part of the motor that pulled me through the title poem of Welcome to the Anthropocene was the sound pattern of Pope’s heroic couplets. In the editing process, I do start to pay attention to the look of the poem on the page, but mainly as a way of signalling to the reader how I’d like it to sound. VS: Do you apply for writing grants? If so, can you share which ones? What do you think about giving time to grant writing even if it takes away ‘writing’ time? AM: I don’t apply any more, but I have received four or five writing grants over the past three decades. The Canada Council, the Alberta Foundation for the Arts and the Edmonton Arts Council have all provided some support that I’ve been very grateful for. VS: How does where you live affect your writing? AM: In so many ways! I came to Western Canada after growing up in Scotland and Toronto. It took me a while to actually see this place, but slowly it gave me subject matter—words like ‘slough’ and ‘wolf willow’, a history and landscape to learn. But most of all, it gave me community. It was only when I arrived in Edmonton that I found people to share poems with. Some people go to the big city in an attempt to become artists. For me, coming to a smaller city on the edge of the boreal forest gave me the space and the web of connection that I needed. VS: Is there a subject you’ve always wanted to write about that you haven’t yet? Care to share what it is? VS: Do you write other genres or is poetry your natural tendency? AM: I did write a couple of YA fantasy novels, mainly because that’s what I loved as a kid. More recently I have been writing essays. My collection “Intersecting Sets: A Poet Looks at Science” gave me a chance (and the space) to think about the subject you raised in your first question: how do these two things come together for me? VS: What book(s) are you reading currently? AM: I’ve just started Antonio Damasio’s The Strange Order of Things: Life, Feeling, and the Making of Cultures. His work has interested and influenced me for years, particularly his take on the relationship between cognition and emotion. Our brains are not little isolated commandants in the towers of our skulls – we are intricately linked to our bodies and our environment, and it’s our emotions that make the link. As for poetry, I’ve just finished two first books by amazing young Indigenous writers. Billy-Ray Belcourt’s This Wound is a World and Joshua Whitehead’s Full-Metal Indigiqueer. They have similarities—the voices of queer, Indigenous, highly educated young men trying to blow up the thought patterns of colonialism—but the two books are very different. VS: Are you working on any new projects? AM: I am working (in between dog walks) on another essay collection. I’m interested in the trisection of poetry, science and our human need for spirituality. VS: It’s raining. You see your favourite writer getting out of a car – without an umbrella! What do you do?! AM: Oh, dear, this is a tough one. There will be so many favourite writers in that car – how will any umbrella ever cover them? Welcome to the Anthropocene is available from the University of Alberta Press and on Amazon. We hope this spotlight enriched your National Poetry Month! Happy reading! Previous Post It’s National Poetry Month Y’all! How will you celebrate? Next Post BE PART OF A WORLD RECORD FOR NATIONAL POETRY MONTH & more local events!